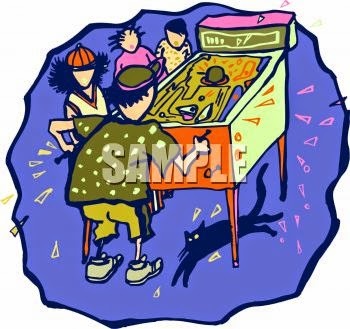 I googled "Pinball Cartoon" the other day, trying to look up the sesame street pinball animation to show someone, but I ended up on the images page by mistake. THANK GOD I DID! Otherwise, I might have never stumbled on this jewel! HA HA! WHAT!?! I have a soft spot for pinball machines that CLEARLY don't work in any sort of discernible reality, and this is a chief example. I get what the guy is doing with this right arm, but I dare ANYONE to tell me what on gawd's good earth he's doing with his left arm? 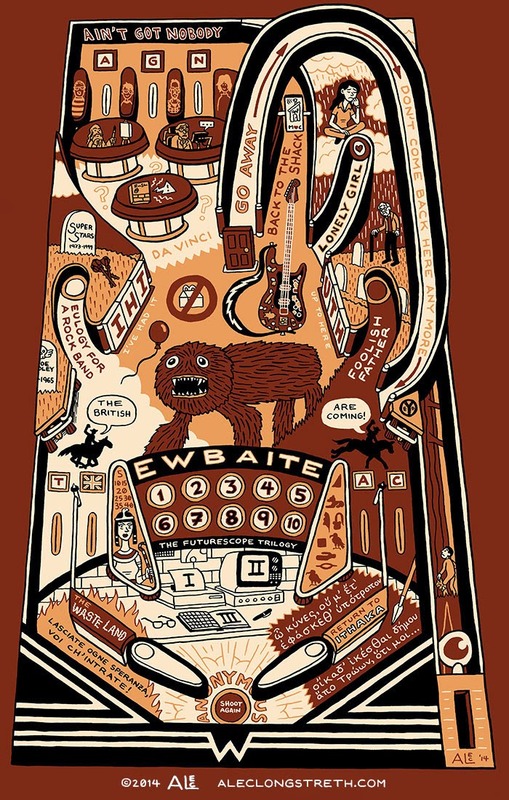 Is there a pool cue attached to this pinball machine? Also, the machine seems to have one flipper, and one slingshot under the flipper. Man, this is going to haunt my dreams later. STERN! I've got your next machine! Let's call it "The Madness!"